Reveal the amazing volume and brilliance of your hair! 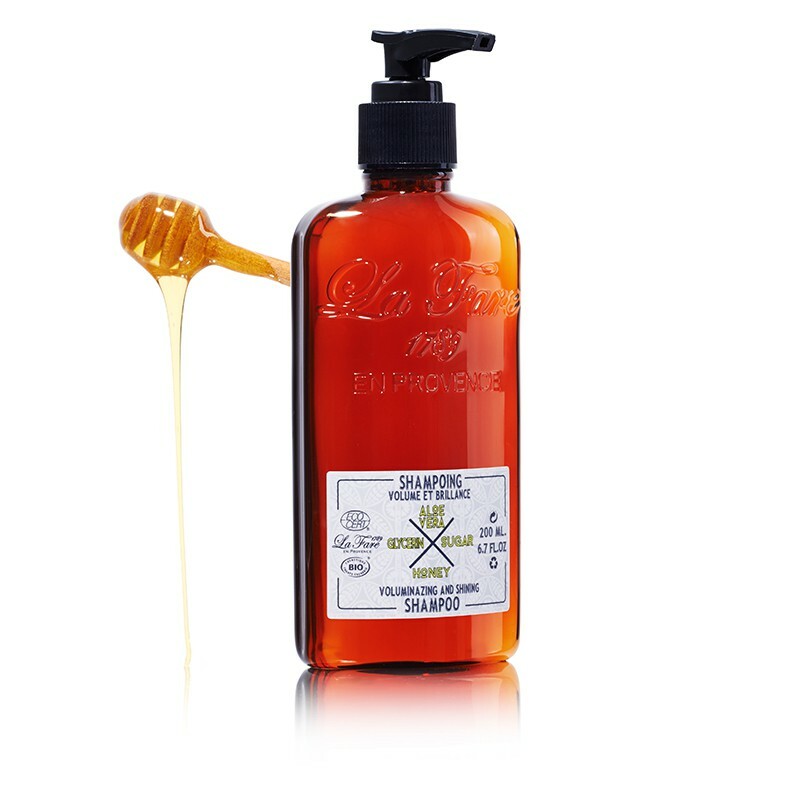 This shampoo is formulated with extremely mild surfactants for clean, healthy, shiny hair. Its light and creamy foam has a delicate honey scent. An outstanding combination of organic ingredients: Honey nourrihes hair fibers to the roots, Aloe Vera restores radiance and slow down hair loss, Glycerin moisturize, and Sugar soften. The hair is intensively nourished from the root to the scalp providing a nice calming effect with immediate results. Renew 1 to 2 times per week. Rinse well. Texture : light and creamy foam. Hair type : normal use. Using Advice : gently massage the scalp in circular movements to stimulate microcirculation. Rinse. More : Aloe Vera which limits the fall of the hair. INGREDIENTS : AQUA (WATER) - ALOE BARBADENSIS LEAF JUICE**- AMMONIUM LAURYL SULFATE - GLYCERIN - COCAMIDOPROPYL BETAINE - INULIN - PARFUM (FRAGRANCE) - SODIUM CHLORIDE - CAPRYLYL/CAPRYL GLUCOSIDE - GLUCONOLACTONE - SODIUM BENZOATE - MEL (HONEY) EXTRACT - POTASSIUM SORBATE - C12-16 ALCOHOLS - AMMONIUM SULFATE - SODIUM HYDROXIDE - CITRIC ACID - CALCIUM GLUCONATE - LINALOOL - LIMONENE - GERANIOL - COUMARIN - BENZYL ALCOHOL. Shampoing doux , j'adore son parfum miellé , cheveux fins bien nourrit , brillants , volume retrouvé et chute des cheveux bien atténuée J'adore ! Parfum neutre, shampoing qui laisse les cheveux léger et brillants er permet d'espace les lavages. Très beau produit. Vivement les bouteilles en verre ou les recharges éco! Mais cheveux ont une tendance &quot;gras&quot; ce shampooing s'alourdit pas et répond aux attentes de brillance. Je voudrais savoir s il ne serait pas possible d avoir des recharges plutôt que des flacons à chaque fois. Merci de votre réponse.